Paleo-Indians are nomadic hunter-gatherers that live in the region stretching from Texas to Arkansas. 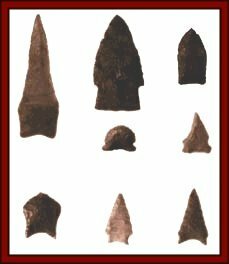 All plotted by their archeological remains…especially spear points. 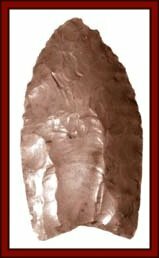 Paleo Indians are largely distinguished by their hunting and gathering economic system. 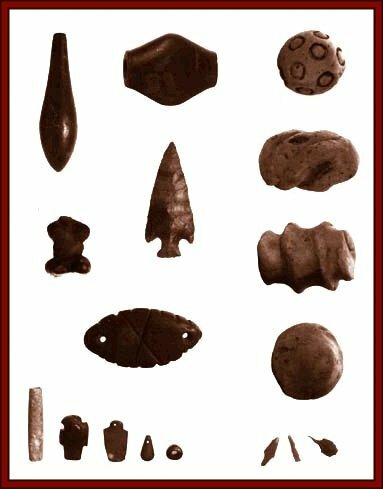 Meso-Indians create ornamental goods like beads and hairpins and tortoise shell rattles. Meso-Indians are nomadic hunter-gatherers that settle in more centralized regions than the Paleo-Indians. Meso-Indians are credited with building elaborate earthen mounds. Neo–Indians begin to make stone and pottery vessels and various decorative and ceremonial objects. Neo-Indians, especially Poverty Point people develop extensive trade networks. Neo-Indians begin to form groups whose population expands and becomes more regionalized. Poverty Point artifacts Poverty Point people develop new methods for cooking food. Bayou Macon in West Carroll parish. Bird effigy mound. Largest structure in the US before the 20th century. 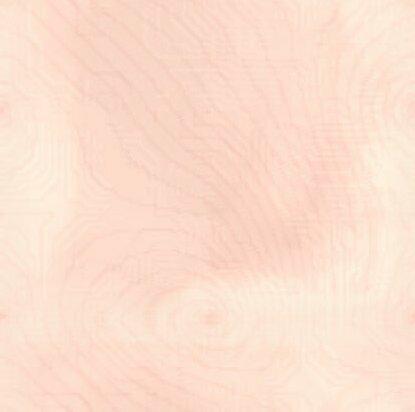 The semicircle mounds have a diameter of 3/4ths a mile…10 times larger than Stonehenge. Was the heart of a large regional culture that stretched from Missouri to Florida. Wide trading network. Poverty pointers were not farmers. But how to produce such surpluses??? No ‘set-up’ culture with a precedent of this magnitude. Manufacturing site for jewelry, beads etc. not just a trading site. 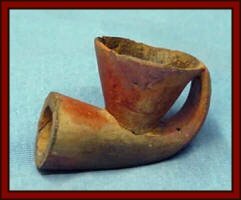 Probably a diffusion of ideas, commercial, political and religious from another area, perhaps Mexico around 2000 BC. Urban hierarchy existed within the poverty point culture. Marksville Indian pottery designs become more ornamental. Marksville Culture is influenced by ideas and traditions of other native peoples. 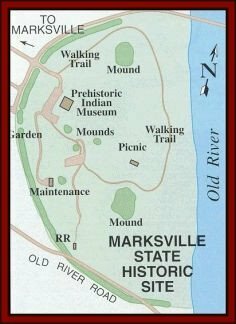 Marksville Indians are culturally influenced by the Hopewell Indians of Ohio and Illinois. Troyville-Coles Creek Indians produce more durable pottery for more uses. and west of them. Troyville-Coles Creek Indians continue to build ceremonial mounds. Troyville-Coles Creek Indians built centralized temple buildings. 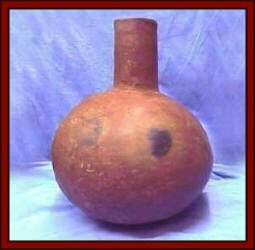 Caddo Indians develop a new style of pottery in varied shapes. The Mississippian Culture develops an immense trade network. Caddo Indians developed elaborate burial rituals. Both Caddo and Tunica tribes have a highly developed economies.